At Hydro, we spend a lot of our time designing beautiful and functional customer experiences. And since our roots are in sailing (our founders Buster Pike and Chandos Erwin met out on the water) we also spend a lot of our spare time looking at sailing and yachting websites. A well-designed website is just like a well-designed boat. It should be fast, efficient, comfortable and get you to where you want to go. With that in mind, we took a close look at some of our favorite boating brands and ranked the five best yacht websites we could find based on content, design, and customer experience. We also ran the sites through HubSpot’s Website Grader. It’s a great tool for getting a quick sense of how you’re doing. 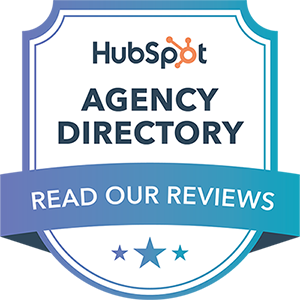 As HubSpot Gold Partners, the Website Grader is one of the first places we go when we’re looking at areas that can be improved on a site. With that, let’s get down to our favorites. Rustler Yachts has taken a classic approach to web design and revamped it slightly. Navigation on the site is straightforward and sticks to the tried and true method of a top bar menu. A detail not to be overlooked is mobile responsiveness and Rustler’s site translates well to mobile, meaning a good customer experience from any device. Although there’s nothing innovative about the format of the site, design elements throughout are top notch and conducive to a positive customer experience. Having a video play on the landing page is a great way to engage visitors. What could Rustler do better? Although the design elements are beautiful and all the necessary information is present, this site has very little to offer visitors. More original content would paint a better picture of life with a Rustler Yacht, encouraging potential customers to imagine owning one for themselves. Despite the excellent design, Rustler was only given an “OK” score of 64 with some room for improvement in their SEO efforts and a complete fail on the security front. That’s an easy fix however so they could be up in the top ranks again quickly with some small changes. The Oyster Yachts website opens on a stunning video that showcases their yachts in different locations worldwide. The site is rather extensive but well-designed so as to appear simple and create a user experience that is unique to Oyster Yachts. The images and content throughout are inspiring and create a voice unique to the Oyster brand. The company not only builds boats but has brokerage, charter, and crew services. The site separates these different sections of the business so visitors don’t get confused. The navigation is a bit confusing and hard to adjust to, which could discourage potential customers from exploring the site. A more seamless flow throughout the site would encourage browsing. Oyster gets a “Good” ranking from the folks at HubSpot with a score of 79. Some improvements on SEO and site performance could get them fully up to speed and ranking well against their competition. Dufour Yachts has a sleek website with enticing images and minimal copy, meaning it is well tailored to today’s digital consumers. The site also gives incredible detail into the design and specifications of each boat. For visitors who are looking to find out as much as they can about a boat before purchasing, this site delivers. Even better, at the bottom of every page is a contact form and a map of brokers so potential customers can see their dream boat in person. This site is lacking in video content. Original video would help Dufour compete with the other yacht builders on this list, not to mention the added appeal for potential customers. “This site is Good!” Dufour is doing just about everything right, in HubSpot’s eyes. The one downfall appears to be security, as they don’t have an SSL Certificate. Talk about a beautiful display. Princess Yachts communicates essential information in a concise and visually appealing way. Their site is not only a treat for the eyes but easy for visitors to navigate. The images alone give a distinct feeling of adventure and a desire to be out on the open water. Plus, they do this without distracting from the information on the page. Princess Yachts has a website that other companies should turn to for inspiration. How could Princess improve on their beautiful site? By posting more content to their site that is helpful to customers, they would increase site traffic and sales overall. Blogs, videos, and articles would draw people into the site, where they would then be mesmerized by the stunning pages. The site could also benefit from location detection, so users aren’t asked to select a language. Princess Yachts has the best score on HubSpot’s Website Grader. They’re doing great on all accounts except that the pages are running a bit slow and have a high number of page requests. Sunseeker wins for best yacht builder website. Visitors first see an inspiring video that precedes the home page. From there, scrolling down reveals basic information and the menu that expands from the side can be used to explore more. The layout of this site is innovative and unlike any other on this list. Plus, it is full of original content that attracts and entertains visitors. As a yacht builder, their main goal is to convince potential customers that a Sunseeker is the best yacht on the market. They accomplish this with captivating images and consistent publication of content. 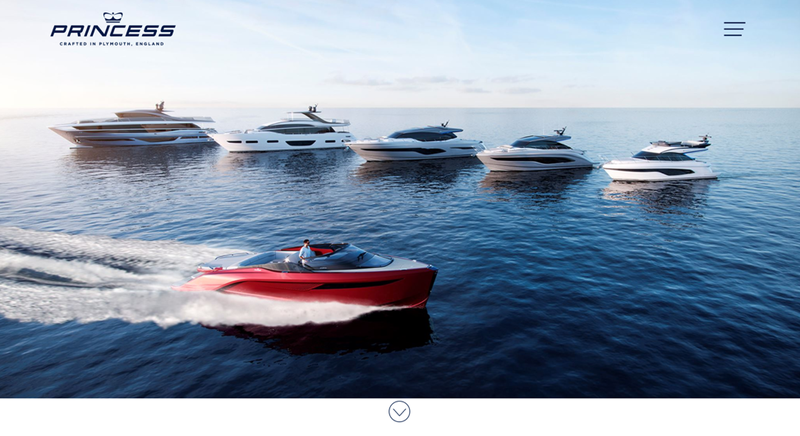 Sunseeker might consider adding a brokerage finder onto their boat description pages so potential customers who are ready to buy could continue their journey to a brokerage. Although the site is near perfection to us, a visually appealing site isn't necessarily a well-built one. HubSpot has rated Sunseeker poorly based on the site’s performance. Fixing these issues, along with some site clean-up would raise this score a lot. Just like building a boat, creating and running a perfect website is no easy task. It takes a ton of planning, coordination and creativity to effectively engage visitors and convert them into customers. The sites we reviewed here have done excellent jobs at translating the tangible qualities of their brands into quality digital experiences. They can all continue to evolve with additional content and optimized customer journeys. And once they address the technical issues that we uncovered with Website grader, they’ll be at the head of the fleet. Still for now, they stand at the top of our list of places to spend some of our spare time. Interested in speaking with us about how strategically planned content and inbound marketing can drive leads and grow your business? Drop us a line using the form below. We’re also happy to give your website a thorough audit. You start by checking on how you do with Website Grader today. Let us know how you did! Lastly, you can also check out our white paper about inbound marketing written specifically with the yacht industry in mind.